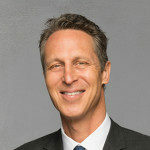 Food Bites with Dr. Hyman – Eliminate Grains and Beans Too? Rachel R asks: For the last 6 months, I have kept my diet free of sugar, dairy, gluten and oats. I couldn’t imagine now eliminating rice and legumes but certain communities insist they are bad too. What gives – it is becoming ridiculously hard to feed myself! Way to go on detoxing your diet! It takes serious commitment to your health to omit sugary foods and anyone who has tried to get off gluten and dairy understands just how difficult this can be. For some people, eliminating the sugar, dairy and gluten will be enough. Yet for those with advanced diabesity, going one step further to omit starches, grains and legumes often accelerates the healing process required to optimize blood sugar regulation. And in honor of National Diabetes Month, I think this is an important and timely question considering that 1 in 2 people have problems controlling blood sugar. Carbohydrates in grains increase blood sugar and if consumed in the typical large portions like that of many Americans, they can lead to insulin resistance. 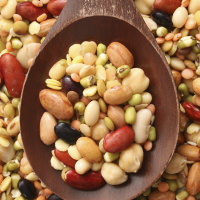 Beans contain carbohydrate, so they too, can raise blood sugar. Furthermore, beans contain phytic acid, known as an “antinutrient” because phytates bind to important minerals, like iron, zinc, magnesium and calcium, and leach these minerals from the body. These minerals happen to play a critical role in preventing diabesity and a deficiency in them is often seen with type 2 diabetes. It’s easy to know if you should try upgrading your detox and here is what you can do. If you answer yes to any of these questions then begin a short trial of a low glycemic diet that is grain and legume – free by following Dr. Hyman’s 10-Day Detox Diet Challenge. You have type 2 diabetes, take medication for insulin resistance or impaired insulin function or your doctor has mentioned something about pre-diabetes. You have an autoimmune condition such as Hashimoto’s thyroiditis, rheumatoid arthritis, lupus, celiac disease, multiple sclerosis, Grave’s disease, psoriasis, scleroderma or type 1 diabetes. You have tried unsuccessfully to lose weight with a gluten free diet or you have 25 pounds or more to lose. You suffer from bloating, cramping, gas, constipation or loose stool that is taking over your life.